Pressure balances are high-precision fundamental pressure standards that define the derived unit of pressure directly from the fundamental units of mass, length and time following the formula p = F/A. The direct measurement of the pressure with a pressure balance combined to the know-how of Desgranges & Huot guarantee the best metrological specifications on the market. This type of pressure balance has been successfully tested by national institutes, calibration laboratories and all type of industries. CPB8000 has been designed to provide the best available metrological specifications but also to respond to industry requirements. 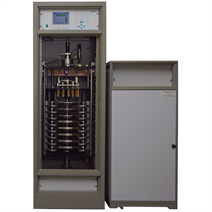 Providing a high MTBF, the CPB8000 pressure generation system can also generate and regulate with large volume under test. The servo-controlled spindle pump for pressure generation, combined to the built-in optical detection used to measure the piston position, offers fine and reliable pressure regulation. 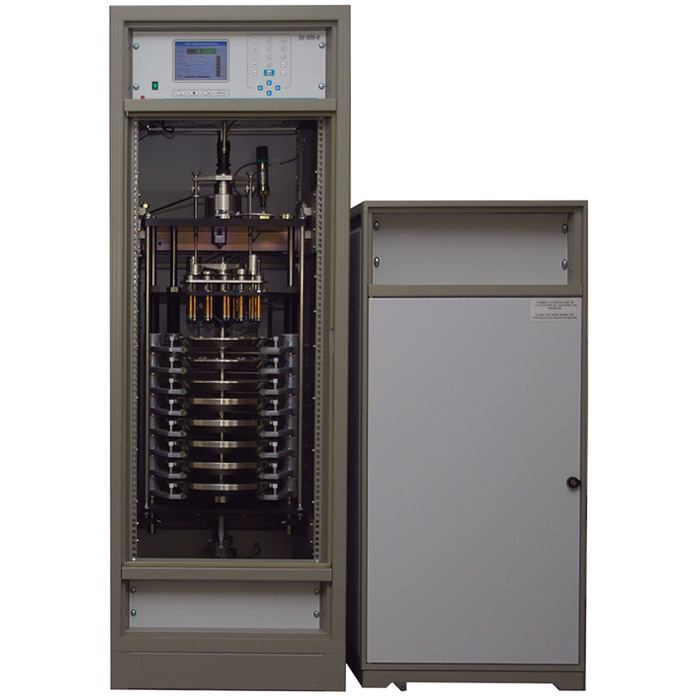 The mass set protected in a cabinet is handled carefully providing the highest stability. Finally the pressure is automatically fully corrected taking in account all ambient parameters. CPB8000 is available in four versions: pneumatic or hydraulic pressure, with or without the trim mass set handling system (optional down to 10 mg). A large range of piston-cylinder systems is available to best meet your specific requirements.